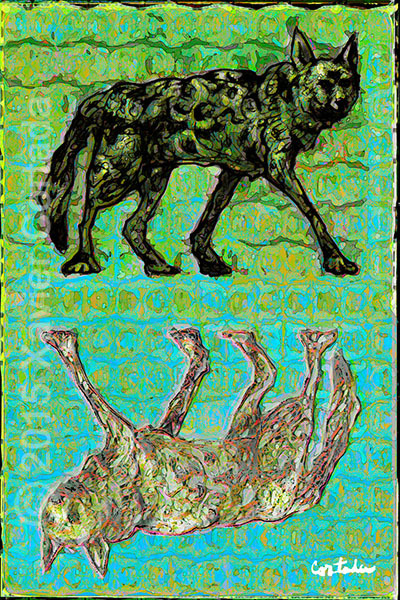 Xavier Cortada, “(Florida is…) Red Wolves,” archival ink on aluminum, 60″ x 40″, 2015. The red wolf (Canis rufus) is a social species that lives in packs. However, they do not hunt in packs. Smaller and ruddier in color than their gray wolf cousins, the red wolf is one of the most endangered canids in the world. Historically, the red wolf was trapped and killed almost to extinction by humans to protect livestock and game.